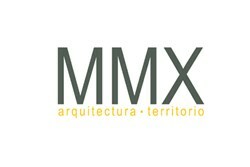 At Estudio MMX we are qualified specialists in architectural projects and urban planning. We have a powerful capacity for reflection and analysis to understand the unique and special factors for different scale spaces. We develop alternatives for districts, cities and regions supported on knowledge as well as national and international recognition. We are certain that 4 heads are better than one, that is the reason why we focus our goal in finding specific and different possibilities to each project we make. Backed on our team, we ensure personalized supervision through every stage of the process to achieve the expected results. We are a fully integrated team, in constant growth, run by 4 partners —colleagues and friends— with strong background and solid experience. A professional group with complementary talents, diverse interests and personal differences turned into our main strength. At Estudio MMX we have 10 years of experience developing the right spaces for our project´s client locations. Our passion for architecture and urbanism, combines with our thrill for challenges, feeds our will and enthusiasm to fulfill our goals with new proposals for better projects.